It is essential that buses should carry clear information indicating where they are going, and where appropriate a route number. 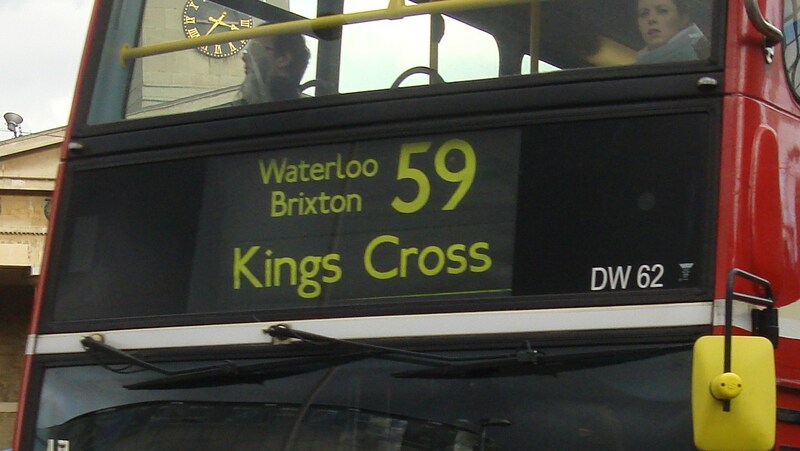 London Buses have always been good at doing this, usually including a list of places served en route as well as the final destination. In countries where a variety of languages are used, with different alphabet scripts, electronic displays can be used to alternate displays, e.g. 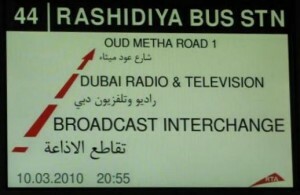 between Arabic and English in the UAE. 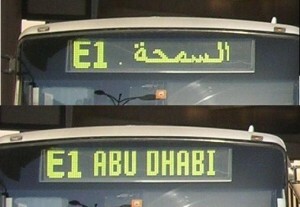 Electronic displays can also be used for other purposes, such as showing “minutes to departure” when a bus is waiting at a bus station. 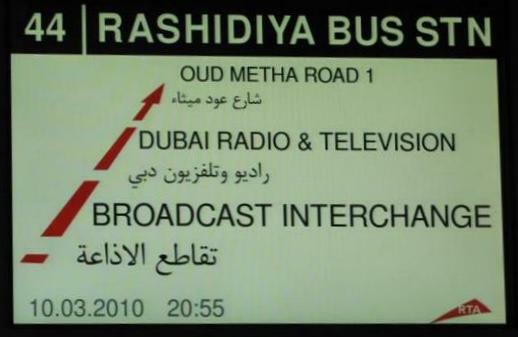 Good information displayed inside buses is less common – here is an example of an in-bus TFT information screen from Dubai, showing the next three stops in both English and Arabic.